Today, Friday, there is one more event of great interest: after a successful trip to China, Hugo Chavez arrives in Cuba. If in Bolivia the oligarchy has clashed with a serious and strong leader like Evo Morales, in Venezuela the adversaries of the Bolivarian Revolution, who were pinning all their hopes on the blow that the international economic crisis would deal that country, will understand that ChavezÂ struggle for socialism is capable of surmounting any obstacle. 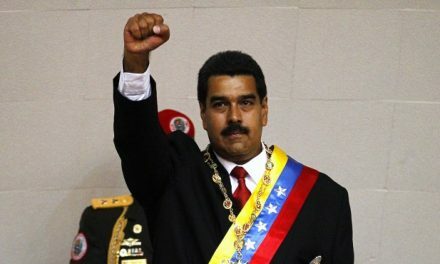 He promised that all the achievements and the significant social progress attained so far will be maintained, that the industrialization of the country will keep up with its pace, and that Venezuela will become a model industrialized country, with social justice, which will be an inspiration and an example to the Third World. His trip to China and Japan in the midst of the crisis that affects all nations of the world is a true example of political strategy. Before going on that trip he attended the South American and Arab countries Summit. These countries altogether own huge natural resources. He saw in Japan Â one of the most industrialized countries of the world with the greatest economic potential- an important market for Venezuelan commodities. He clearly deduced, over and above anything else, that China, with its accelerated development, will be the biggest economic power on Earth, an inescapable stronghold for international trade and a fulcrum for the Third World countries which have been discriminated against and exploited by he richest capitalist powers. The cable news published on April 8 reported the agreements that had been signed after the conversations held between the presidents of Venezuela and the PeopleÂs Republic of China, Hugo Chavez and Hu Jintao. The cable news issued yesterday reported the activities that, at the request of the President of China, Hugo Chavez attended on that day before beginning his return trip. They reported that the Venezuelan President, Hugo ChÃ¡vez, said he had reached an agreement today with his Chinese counterpart, Hu Jintao, to increase cooperation so that China could receive one million barrels of oil per day by the year 2010. ÂI suggested to him that, given the world situation Â the crisis – we should analyze the possibility and agree on advancing the goal set under the strategic agreement for the year 2013,Â said Chavez today to the one hundred local, provincial and national leaders of the Chinese Communist Party School who applauded him. ÂAchieving that supply volume, the construction of a Venezuelan refinery on Chinese territory and the creation of a bi-national shipping company for the transportation of crude oil were the priority goals pursued by ChavezÂs visit. ÂThe Venezuelan President, Hugo Chavez, deemed today as ÂindispensableÂ the construction of a platform of alliances between China, Latin America and the Caribbean. The Venezuelan President, Hugo ChÃ¡vez, concluded today his visit to China with a meeting he held with the Chinese Vice-President Xi Jinping, who is considered to be Hu JintaoÂs successor as leader of ChinaÂs Communist Party at its next Congress to be held in 2012. ÂXi is the Rector of the school where all the Communist Party leaders have been trained since the foundation of the PeopleÂs Republic of China in 1949, which was visited by Chavez today. ÂChina is a country with foresight. After a few months in government I traveled to this country and began to build a relationship with Jiang Zemin; and now, with Hu, we have decided to endow that relationship with a new strategic dynamism. ÂYesterday, in a meeting held at the Great PeopleÂs Palace, ChÃ¡vez told Hu that China is the biggest engine that exists right now that could pull the world out of this crisis. ÂHe reaffirmed today at the Party School that if Washington was the capital city of the imperial world, Beijing is today one of the big capital cities of the multipolar world. ÂWe are in the process of founding our own Party School, which has been in place for hardly one year, and its founding nucleus should first attend this school, because we have started to shape up a great party with a clear ideology, which is socialismÂ, he reaffirmed. Around 2 oÂclock in the afternoon, President ChÃ¡vez will do me the honor of visiting me. It will be extremely interesting for me to be able to know about the details of his trip abroad Âmore than 12 days, all in all- showing his unlimited confidence on the people, its increasing socialist awareness and the cadres that were left at the helm of the country. At 13:15 hours I phoned DausÃ¡. The news was that Evo still had not had any rest at 7:00 a.m. At that time he was given a copy of the Reflection I wrote today. He felt happy about it and read it before the journalists. He felt pleased to know that I was following the events very closely. After that he slept for two or three hours. DausÃ¡ gave me more accurate information about the Parliament sessions. Both in the House Â with 130 deputies, where EvoÂs party has an overwhelming majority — and in the Senate Â with 27 Congress members, where the opposition is the majority — laws are approved by a simple majority. The problem is that the Provisional Electoral Act must be approved by a majority in both the House and the Senate. Since the oligarchy has a higher number of deputies within the 27 members of the Senate, it blocks its approval and demands conditions which are unacceptable, namely, to create a new electoral register, to reduce to only a few the number of special constituencies for the indigenous populations created by the new Constitution of Bolivia, which was approved by the people in the recently held elections, and finally to impose considerable restrictions on the voting rights of Bolivians living abroad Âmost of whom support Evo. While a solution is negotiated based on a possible reduction of the number of indigenous deputies from 14 Âas proposed by Evo– to almost half, since the opposition accepted only three, they have started to create intrigues by saying that the indigenous President is betraying his own people. Thus, they intend to undermine EvoÂs forces and challenge the electoral register, which will question the right to vote of 700 000 Bolivian voters. A similar goal is pursued by restricting and hindering the voting rights of Bolivians living abroad. It is impossible not to recognize him or support him. The hunger strike does not affect in the least his intellectual capacity. ÂI am not looking for power for myself; I am looking for power for the social organizationsÂ he stated and reiterated. His answers to the press are really eloquent. DausÃ¡ reports that many of the opposition parliamentarians, mainly those from Santa Cruz, left for their respective Departments to spend there the Good Friday as well as the rest of the week, as if they were pious believers. ChÃ¡vez arrived at 15:55. 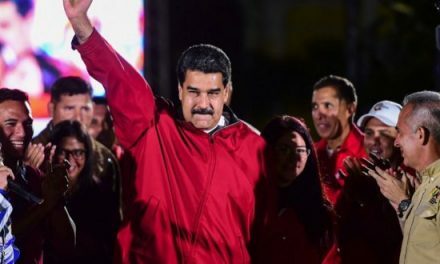 He came accompanied by Luis Reyes Reyes, Minister for the Presidency; Rafael RamÃ­rez, Minister of Energy and Oil; NicolÃ¡s Maduro, Minister of Foreign Affairs, and other cadres who went with him on his trip abroad. As soon as he sat down he began to tell me about his own impressions. He felt very happy about his meeting with Hu Jintao, President of China. He told me about the extensive dialogue he had during his working visit, the last dinner hosted in his honor at the PeopleÂs Palace and the visit he paid to the historical Chinese Communist Party Cadre School at the suggestion of the Chinese President. He exchanged views with the Chinese Vice-President and Rector of that school, Xi JinPing, who left a deep impression on him. He had already met him in Venezuela, a country he visited as Vice President of that big nation. Likewise he also met with his friend Chen Yuan, President of the Chinese Development Bank, who is son to the former President of that country during the first revolutionary stage. He also talked with the Minister of Foreign Affairs. He highly praised the talent and the working methods of ChinaÂs top leadership, particularly Hu Jintao. He traveled back via Vancouver. The flight, with one stopover, lasted exactly 16 hours. He spent half of that time flying over U.S. territory, which did not object the itinerary of the Cubana de AviaciÃ³n IL-96 aircraft. He also gave some details about his visits and meetings in Qatar, Iran and Japan. He talked with a great number of leaders. He devoted some minutes to convey the greetings sent by some of his interlocutors. He is very strict on that. He did not want to forget any, specially the ones conveyed by the Chinese leaders. Paul Krugman, the Nobel Laureate in Economics, claims that quite possibly, in the next IMF meeting –which is held within a given number of years to assign certain currencies the condition of convertible hard currency– the yuan will be included on a par with the dollar, the euro, the pound sterling and others. Those who control the world economy can no longer ignore it. Evo could not be left out from our conversation. I explained to ChÃ¡vez in detail all the information I got, his excellent state of mind and his readiness to continue on a hunger strike until the end. He called Evo on the phone and expressed to him his full solidarity. Finally, he spoke about his next visit to Argentina. He asked some information about the Trinidad and Tobago Summit and the position adopted by Daniel. He and Cristina will speak at the opening ceremony of the Summit. I told him everything I knew. At 21:54 hours I called DausÃ¡ and asked for some news. The Congress, which was going to convene at 19:00 hours, could not meet out of lack of quorum. It was said to convene at 20:30 hours, but there was no quorum either. The TV channels showed images of the opposition parliamentarians at their respective Departments. GarcÃ­a Linares felt sorry about their absence and said that attitude was bordering on offense. He said he would call a meeting again tomorrow, Sunday, April 11, at 12:30 hours. He added that there would be no other activity in Congress until the Law is approved. Evo is fine. He was checked by the physician who accompanies him. The hunger strike by the leaders of different Departments in the country has continued, in solidarity with the President, despite EvoÂs appeal that they should interrupt it until Monday. Today, according to the Secretary General of the Workers Central of Bolivia there are 1,027 workers in 96 pickets. In a press conference given by the leaders of Coordinadora Nacional por el Cambio and the Workers Central of Bolivia they stated that if the parliamentariansÂ absence from Congress continues, they will implement legal actions against them. He told me that he would visit the President tonight. He would take forty minutes to go from the embassy to the Palace. I promised to call him to say hello to Evo. At 22:20 hours I called him. He immediately handed over the cell phone to Evo. I had the pleasure to listen to his calm but firm voice, confident on the justice of his cause. I conveyed to him our happiness on his good health condition. I congratulated him on his firmness and his calm and eloquent words, which do not insult or hurt anyone. I told him about ChavezÂs visit and his attitude of solidarity towards him and Bolivia. I conveyed to him a message of solidarity and our confidence in his victory.